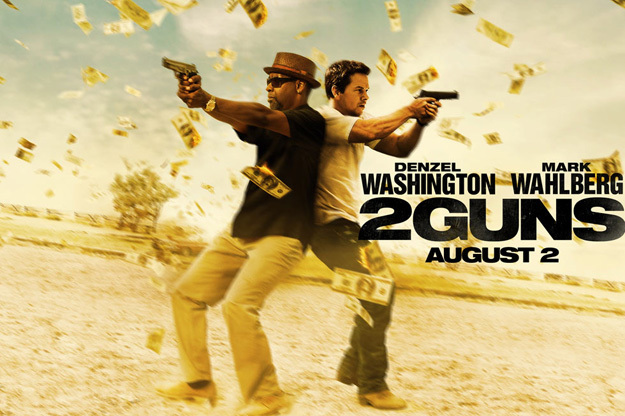 As you know, the 2 Guns movie will be on big screens really soon. And two main stars playing in it is a Denzel Washington and Mark Wahlberg. In the last time I’ve seen Wahlberg a way too often, I think, and in many big titles. Denzel Washington, though, wasn’t getting such an attention because I’ve not seen him a long time. So, now it is - new movie with these two guys will be in the nearest theater in no time (actually, it will happen on 2nd of August) and you can go and see it by your eyes. But what am I thinking about Denzel (don't mess him with Diesel and don't think that the History of Riddick is related here) himself? Let’s see. Most lovely movie I’ve seen with him starring main role is, of course, The Book of Eli. It describes the story of a man who walked a really long way just to deliver a book and a message through all the wastelands with no water and living creatures (but of course there was living creatures, but most of them wants to eat you and no romantically talking with a bottle of wine and candles). If we’ll talk about movies that was showing up recently - it’s the Flight, drama by Robert Zemeckis, who also brought us The Back in the Future trilogy. Talking about Denzel Washington in 2 Guns movie - I think this will be great, because his face and his nature talks to the whole world and tells that this man is born to be CIA agent or something like that, don’t you think so?